We all know college is a very busy time of your life. You are balancing classes, jobs, family, extracurricular activities, and for those who have time for it, a social life. Believe it or not, in the midst of all this you do have to eat, or you won’t even make it to that practice exam for calculus. 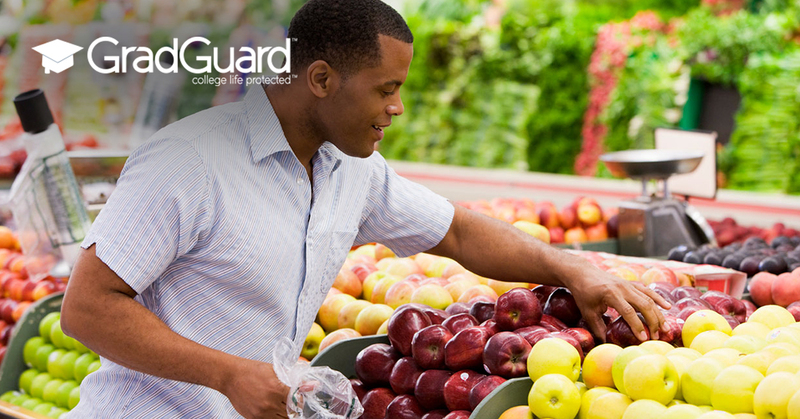 As tempting as that might seem during exam week, eating, and by nature, grocery shopping is a skill you will need to achieve that elusive degree. That is, unless you commute from home and the smell of your mom’s lasagna is wafting into the room right now. In which case, bookmark this page, and come back once you leave the nest. 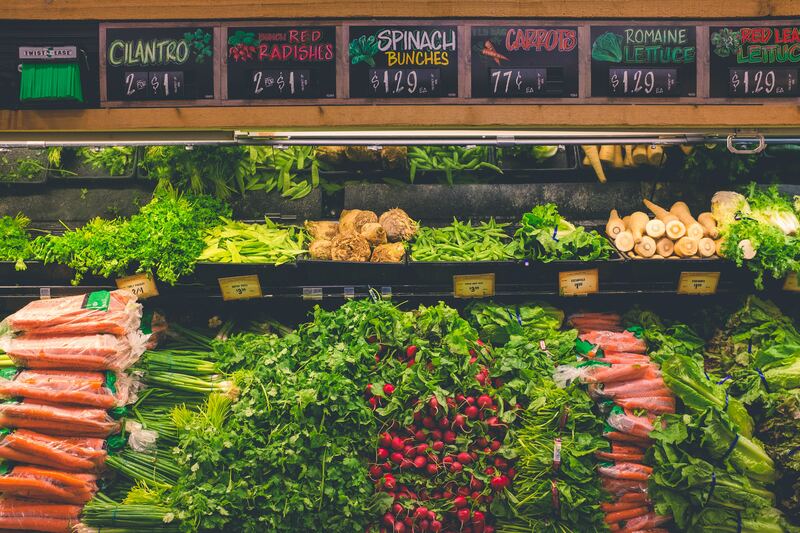 Regardless, grocery shopping on a college budget can be tough, as most of us know eating at home is more cost-effective and a lot healthier than eating out all the time, so we are here with 5 tips to help you shop like a pro! 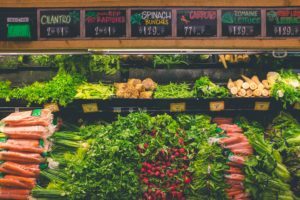 Buy produce in season: This is undoubtedly something you have heard countless times, but who really knows the harvest calendar? You can see what produce is in season by visiting websites like the USDA Seasonal Produce Guide and the Seasonal Food Guide to keep you in the know. This will help you keep fresh foods in your fridge at great prices. 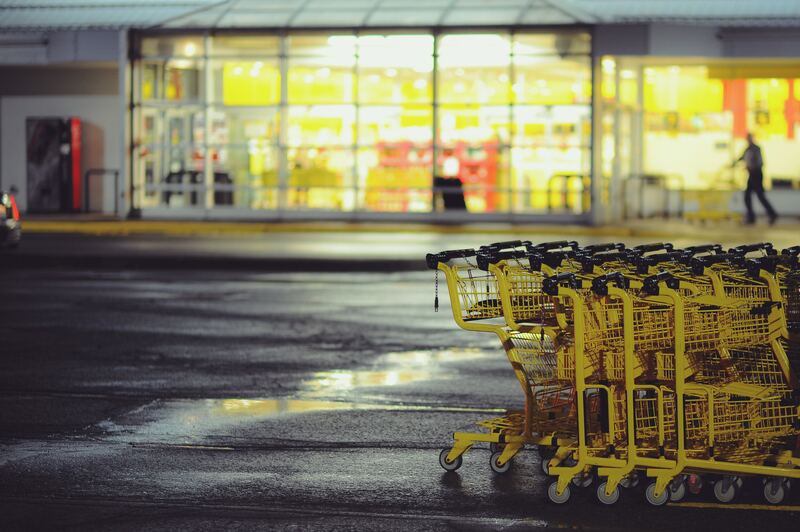 Pay attention to sale ads: Grocery stores have one goal in making these ads: to get you into the store. Their thought process is if you go to the store for one thing, you will come out with five. If you have ever gone grocery shopping while hungry (don’t do it), you know this is true. Stores will place some of their sale prices to a point where they know they are losing money on it so you will go in and buy other items. The app Flipp uses your location to find the ads in your area and shows all of them to you. So the next time your pantry is running a little low, check out the ad deals in your college town. Check out the day-olds: Grocery stores can only keep baked goods on the shelf for so long before they cannot be sold. As they near that date, the store will place them on a separate shelf with a discounted price to sell them before they must be tossed. In no way does this mean they aren’t suitable for consumption. Loaves of bread will probably be good for another 3-5 days after they’re purchased or they can be frozen and saved for a later date. 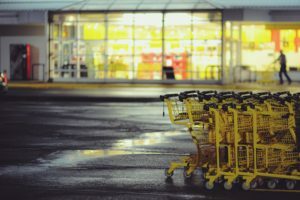 Often times grocery stores will also combine produce in bulk bags for a quick sale on items that are bruising or nearing their expiration date. Consider this another solid opportunity to cut costs while attending college. Use coupons: Coupons are a great way to save money on most of your staple goods and maybe some stuff you don’t need, but really want. Websites like The Krazy Coupon Lady and SmartSource are great tools to print coupons, and most stores will allow you to load certain coupons onto your store card. Learn your stores: This comes with time, especially if you are in a new college town, but definitely pays off in the end. Some stores tend to have better pricing on certain items than the rest. You will figure out where to get your meat (or veggie burgers), where the best deals on produce will be, and where to buy your staple items. Just explore your area and find out what stores work the best for you. We hope these tips will help you come in under budget because we know those potato chips will come in handy when you are stress eating for that calculus exam. Happy Hunting! Enjoy tips like these? Be sure to follow GradGuard on social media (Facebook, Twitter, Instagram, and Pinterest) and get informed weekly with great tips about student finance, how to maintain motivation, and college hacks!